J & J Hay Farms is a top-tier hay merchant with exceptional quality hay. Our hay is cut, dried and square baled or round baled at just the right conditions to create beautiful, nutritionally-rich bales that meet the needs and quality expectations of our customers. When only the best horse hay will do, contact J & J Hay Farms by phone or email. 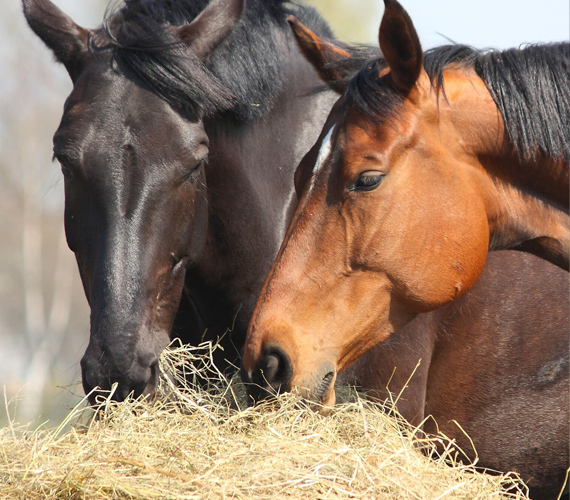 J & J Hay Farms can ship semi-loads or half-loads to your equestrian farm, horse facility or ranch. using our fleet of modern tractor trailers. Every driver is equipped with the latest technology to keep them in constant contact with the central office and the customer. For your convenience, ‘pup’ trailer half-loads can be dropped and picked up later. Contact Us for hay shipping availability to your area. J & J Hay Farms sells only first quality hay period. You can see it, smell it and touch it in every bale we sell. We are certain that our standards for excellent hay quality and consistency will meet or exceed any other hay on the market! Why do we care so much about our hay? 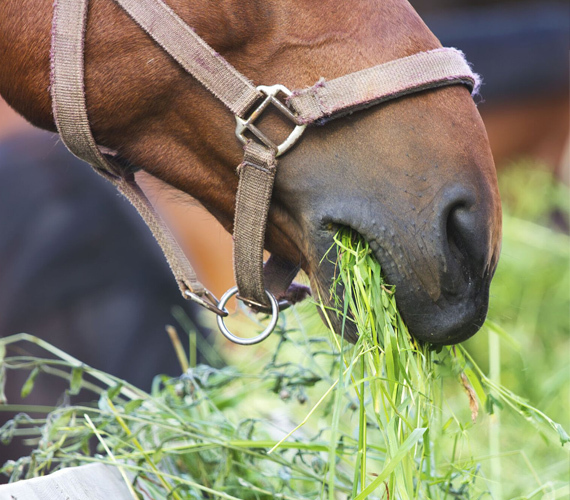 Because like you, we understand that hay is the foundation of the horse’s diet providing up to 90% of their nutritional needs. Farmers say that the quality of your crop begins with the quality of your soil. Our hay is grown in some of the most fertile soils in the country producing nutrient-rich hay that results in healthier, better quality animals. Once the growing season arrives in early spring, fields are planted with premium grass seed, fertilized according to soil analysis and treated to prevent weed growth. When baling begins in hotter weather, hay is cut, dried and baled at the right state of maturity by professional hay farmers who stay up-to-date on the latest growing methods.